An often controversial figure, Jerry 'The King' Lawler has been at the top of his profession both as a wrestler and most recently as a commentator for over 30 years. Holder of more than 90 regional or national titles over the course of his career, he is as well known for his feuds, both in and out of the ring, as he is for his achievements and his expertise. No stranger to the airwaves, he has hosted his own show both on radio and on television, and he is also a successful commercial artist whose work can be seen on several sites around his home city of Memphis. Outside the WWE arena perhaps his most famous dispute was with actor and comedian Andy Kaufman, a long-running conflict that at one point put Kaufman in hospital and culminated in a televised brawl on 'Late Night With David Letterman'. 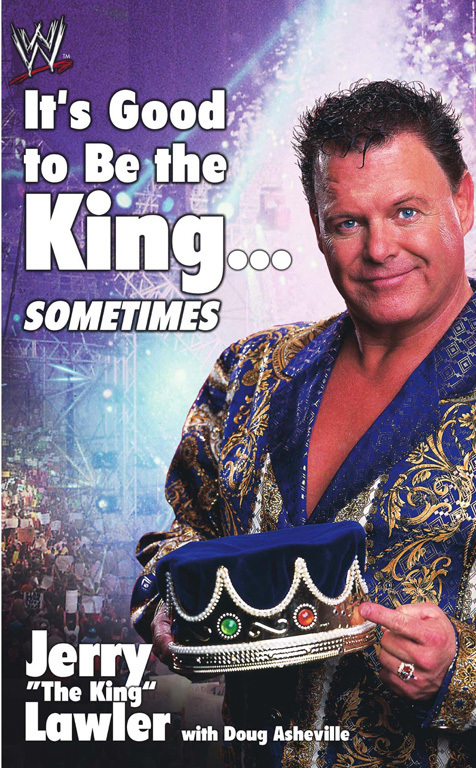 Now in a no-holds barred autobiography 'The King' is prepared to tell all both about his sometimes stormy career and about the backstage secrets of the WWE.